Two species prepare to meet in Intelligent Design, J. M. Erickson’s action-packed science fiction story. Earth and Terra are twin planets, though Earth has no idea of Terra’s existence…yet. When Terra’s holographic shields fail and it emerges from behind the sun, Earth will discover that humans aren’t alone in the solar system. That could mean chaos, but bigger threats loom as methane builds up in Earth’s atmosphere and a mysterious attack threatens to turn Jupiter into a new sun. The book leans heavily on military imagery, with several core characters functioning as members of elite special forces units. Their exploits plausibly satisfy the book’s need for derring-do, which the plot calls for. The concept of a squad of interplanetary commandos is itself a fine premise for a story, and it never fails to deliver here. This book is very likely to please fans of martial arts and single combat. Though action-packed and consistently interesting, the plot meanders between too many threats, and parts of it don’t add up. A number of pocket-sized side quests, generally covering battles and assorted intrigue, keep the story interesting but seriously detract from its momentum. Several years-long interruptions in the story also contribute to a sense of irregular continuity in the overarching plot. However, the immediate action is always a lot of fun, and most sci-fi enthusiasts will probably be inured to these sorts of deviations, which carry the added benefit of further fleshing out the characters and settings that make this book a good read. The book’s characters are well written, engaging, and generally carry the book. Though a few verge on Mary Sue status, they are all easy to root for and entertaining in their contexts. Physical descriptions are handled particularly well, especially when the book addresses physical differences between humans and other humanoid species. 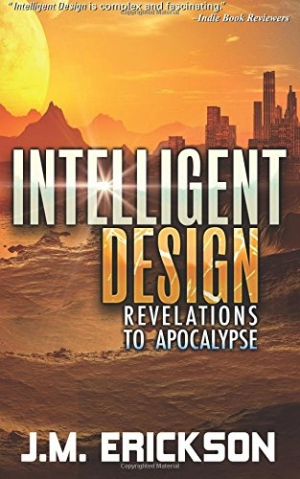 Intelligent Design is a science fiction reader’s science fiction book. It spans several planets, a handful of lushly illustrated alien cultures, high stakes, and well-executed action. The cast of colorful, distinct characters makes the book a worthwhile read, and the likelihood of a sequel will cement the author’s place on the bookshelves and hard drives of his fans. This book is best for fans of classic and military science fiction.